The digital signage industry is booming. Analysts predict an 8.94 percent compound annual growth rate between now and 2020, and that by 2023 the market will be worth $32.84 Billion. The expansion of signage implementation throughout industry has been a major contributor to this exponential growth, with displays being used by businesses of every shape and size for a huge range of content delivery needs. Of course, Digital Out of Home (DOOH) advertising is still a significant part of the overall signage equation, but increasingly digital displays are being utilized for applications far beyond customer acquisition, and in locations that would challenge, or even destroy, a typical media player. 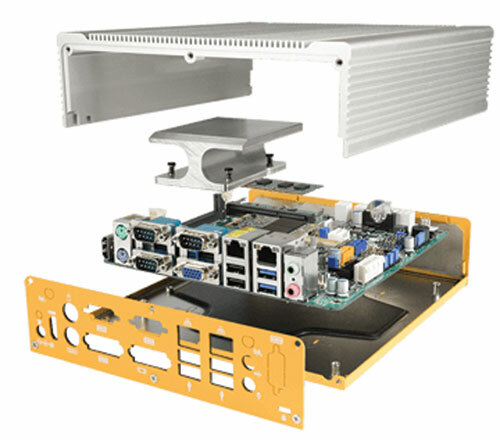 Figure 1: Unlike traditional media players, fanless industrial media players, like this ML400 system from Logic Supply, employ custom machined heatsinks and fanless enclosures. Static and interactive digital displays are popping up everywhere from medical facilities and manufacturing floors, to transportation hubs and outdoor events (Figure 2). These varied applications for digital content delivery bring with them a host of logistical and environmental complications that have required signage professionals to reevaluate the hardware they utilize to convey their message. But what makes an industrial digital media player different, and what factors play into an educated hardware choice for signage integrators and ISVs? In the past, there’s been an attitude toward disposability in much of the digital media player space, with entry level device builders suggesting that when a media player fails, the user simply throw it away and replace it. But that assumes a certain level of nonchalance toward the information being displayed. Industrial digital signage players aren’t throw away devices because the content they’re displaying isn’t disposable. In fact, it’s often mission-critical. Perhaps the most striking difference between consumer-grade digital media solutions and industrial media players is the way they’re constructed (Figure 1). The vast majority of commercially available media players are built using some combination of plastics and polycarbonate. While these materials are relatively inexpensive, they don’t offer much in the way of durability, particularly in challenging environments. Industrial media players, which may be subject to extreme temperatures, moisture, vibration or even impact forces, most commonly utilize all metal enclosures and internal components designed specifically for industrial use. Figure 2: An industrial digital signage installation located above the JetBlue terminal at JFK airport in Queens, NY. Industrial digital media players inside power two displays each. Industrial media players may also look very different than their commercial counterparts. With enclosure extrusions designed to dissipate heat, and form factors tailored to installation behind low profile displays or within electrical cabinets, industrial signage devices don’t always conform to the nondescript black box archetype. The connectivity options available on industrial media players also tend to take into account the variety of output devices they may need to interface with. In addition to HDMI, USB, and DisplayPort (of various flavors), it’s not uncommon to find VGA or even DVI connections to accommodate legacy displays that may be part of the existing infrastructure at a given installation location. A hardware crash at a retail facility utilizing a digital signage solution might be inconvenient or embarrassing for the proprietor, but imagine the potential ramifications to loss of signal at a high-paced manufacturing plant or, worse still, a busy medical facility. Reliability is paramount in any industrial signage application, making attention to detail and careful engineering of industrial media players vital to their longevity. For signage integrators installing hardware at client sites, a single failure that results in the need to roll a support truck can cost the company hundreds of dollars, not to mention the potential lost revenue for its customer. With outdoor signage deployments becoming more commonplace, systems designed for industrial use are employing components rated for extreme operating temperatures, from -25 ºC (-13 ºF), all the way up to +70 ºC (+155 ºF) or more. In addition to outdoor use, these wide operating temperature ranges provide integrators the flexibility to install systems in cars, busses, trains, and ships—where they’re commonly used for everything from passenger information delivery to infotainment and wayfinding. In addition to environmental resistances, many industrial signage players limit, or even completely forgo, moving parts. Solid state storage offers faster read and write speeds to allow for smooth content delivery while also eliminating the noise and data corruption that can result from spinning hard drives. The most reliable breed of industrial media players also leverage fanless, solid state cooling solutions. Removing a cooling fan from the equation can result in a digital media player with zero moving parts, greatly improving overall system reliability, especially for installations where the hardware is subject to vibration. Above and beyond fanless cooling, some industrial media player hardware manufacturers take the extra step to create systems that are also fully sealed against contaminant ingress, with no vents or extraneous openings in the enclosure. Quick serve restaurants who employ digital signage displays for their interior menu boards are increasingly turning to fanless solutions to prevent dust, grease, and moisture from reaching sensitive hardware components and causing failures. One important aspect of industrial signage that frequently goes overlooked is the concept of life cycle. While the reliability of the hardware contributes to its life span (how long it’s expected to operate without a failure), life cycle refers to the manufacturer’s commitment to produce and support a given device. In the world of consumer technology, frequent hardware turnover due to obsolescence makes life cycle less of a concern, but for industrial applications that may depend on a system to operate for three to five years or more once installed, the ability to order additional devices or get support for any necessary updates is paramount. When dealing with international or safety certifications, even slight changes to a device configuration can cause huge logistical headaches, not to mention the significant costs of re-certification. The ability to order a locked-down configuration for the foreseeable future of a project is a huge advantage industrial media players offer over their consumer-grade counterparts. In addition to life cycle management, industrial media player manufacturers frequently offer more inclusive and longer warranty support, providing additional peace of mind to signage integrators. The continued evolution of digital content delivery is changing the way signage professionals evaluate the hardware platforms they utilize. Even the most user-friendly, fully featured software suite is still only as viable as the hardware it’s running on. The widespread use of digital media players in increasingly challenging environments puts pressure on integrators to ensure the hardware they select will survive the rigors of installation, no matter where that might be. Ultimately, the quality of your industrial digital signage hardware should always match the gravity of your message. Article originally posted on the Embedded Systems Engineering website. Robert Suffoletta is a Visual Communications Specialist at Logic Supply, an Intel IoT Solutions Alliance member. A 20-year veteran of the computer industry with more than 10 years’ experience in providing hardware solutions to the digital signage market, he is dedicated to matching clients building innovative signage solutions with the most capable and reliable hardware for their unique installation.